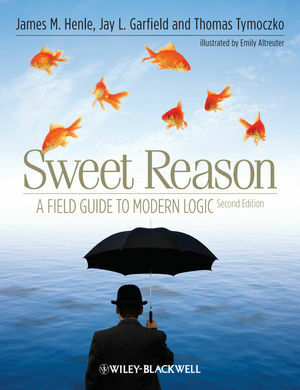 Sweet Reason: A Field Guide to Modern Logic, 2nd Edition offers an innovative, friendly, and effective introduction to logic. It integrates formal first order, modal, and non-classical logic with natural language reasoning, analytical writing, critical thinking, set theory, and the philosophy of logic and mathematics. James M. Henle is Professor of Mathematics at Smith College. His books include Calculus: the Language of Change (with David Cohen), Infinitesimal Calculus (with Eugene Kleinberg), and An Outline of Set Theory. Jay L. Garfield is Doris Silbert Professor in the Humanities and Professor of Philosophy at Smith College, Professor in the Graduate Faculty of Philosophy at the University of Massachusetts, Professor of Philosophy at Melbourne University, and Adjunct Professor of Philosophy at the Central University of Tibetan Studies. Thomas Tymoczko was, until his death, Professor of Philosophy at Smith College. He was editor of New Directions in the Philosophy of Mathematics.